Fiber Optic communications equipment has proven to be an effective system component for current and future Electronic Warfare (EW) systems. 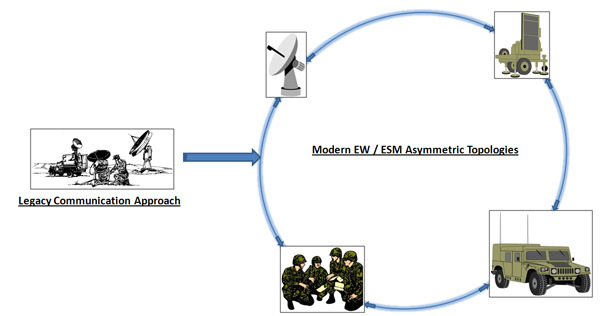 The modern battle space signal Electromagnetic Environment (EME) can leverage the inherent benefits of fiber cabling as an all dielectric medium for the transmission and detection of RF signal traffic. MPS modules and subsystems can support increased cable transmission distances and are capable of a broader range of RF transmission frequencies. MPS’s in-house capability to manufacture and integrate tactical fiber optic cabling allows MPS to certify complete system solutions offering a complete turn-key solution. MPS proprietary technology provides unprecedented Spurious Free Dynamic Range (SFDR) essential to the operational effectiveness of any EW system.